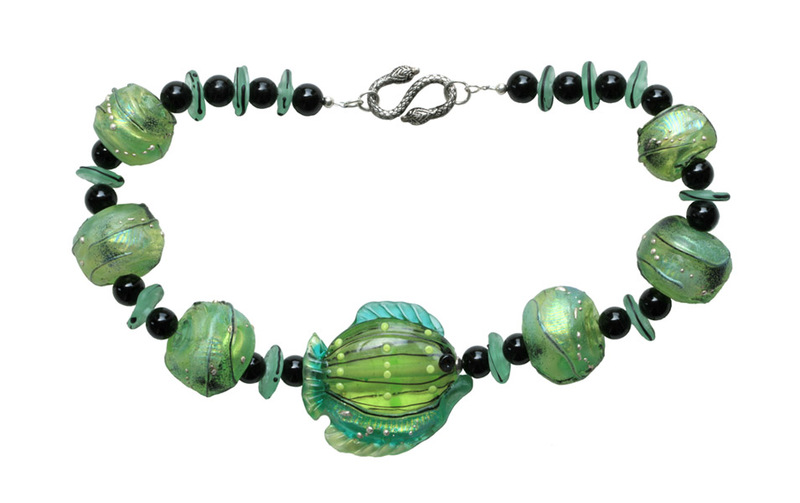 The phenominal blown glass bubble beads and lampwork fish were created by renown glass artist Barbara Becker Simon. They work together with black onyx beads and a fabulous sterling silver clasp to make this show-stopping necklace. The fish measures 2 inches and the beads are 1 inch in width. It fits at the neckline. The matching bracelet is Fish Tales Bracelet (B8).